Eh? Scrum Master vs. Project Manager vs. Product Owner? Sound like comparing apples with oranges. However, in real life, project managers lead scrum teams. Scrum Masters do need project management tools and techniques. 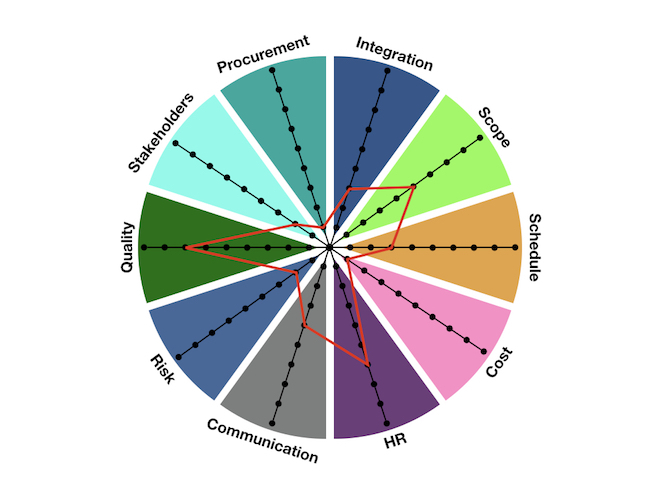 I’m asked this kind of questions so many times that I decided to create this in-depth article on roles in different project management frameworks. So, let’s get clear once and for all. 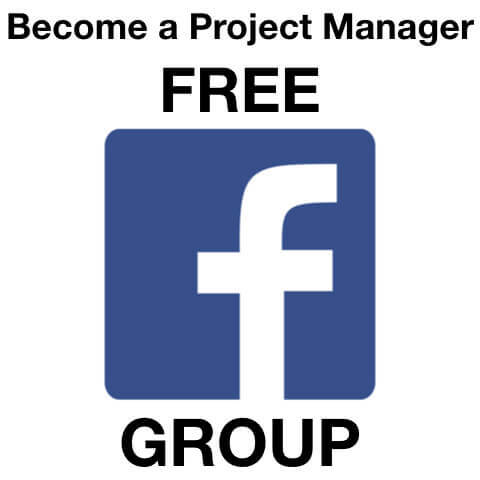 A project manager is a person who applies knowledge and skills of project management to lead a project from its initiation to successful closure. But in the real world, the sphere of influence and responsibilities of a PM goes far beyond a project. It doesn’t mean a PM uses them all. But he or she do know them and best practices to apply each one to the benefit of a project. Project Manager leads one or several separate projects. Portfolio Manager works with groups of programs, separate projects and other actives aimed to achieve one strategic goal. Project Coordinator is usually a person who reports and helps to the Project Manager. He has limited authority to make decisions. Scrum Master is a specific role prescribed in one framework – Scrum. In terms of the knowledge areas that Scrum framework describes, a Scrum Master covers a little fraction of knowledge areas of project management. In accordance with Scrum Guides Scrum Master has quite limited responsibilities on a project. Many people believe that Scrum Framework is entirely self-sufficient. In real life, Scrum Masters face the need to manage other aspects of a project as well. 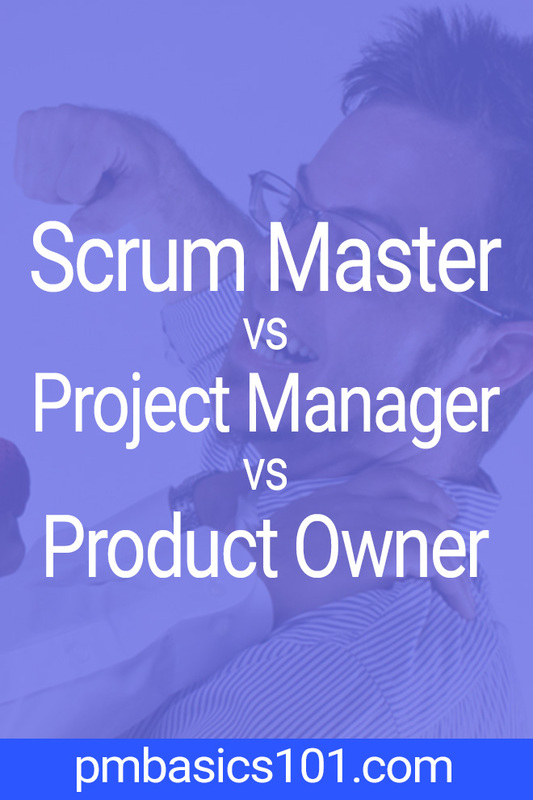 Scrum Master vs Project Manager? Is it a Myth? Theoretical agile and plan-driven worlds cannot co-exist in one project. Mindsets, roles, processes, and artifacts are that different. And yet in real life, you will often see an agile project manager leading a scrum team. Is it really a confrontation or just a confusion around the implementation of different frameworks? I remember my early days as PM. When I knew little about philosophies of agile, PMBOK® Guide, or any approaches at all. Does a PM need a Scrum Master Certificate? Can a PM be a Scrum Master? Should a PM be a Scrum Master at all? How should Scrum Master interact with PM? Before we get to answering these questions, I want you to understand the root cause of the confusion in regards to Scrum Master vs Project Manager problem. Where is the “Project Manager” Role? It says nothing about cost, risk, schedule, HR or stakeholder management at all. Moreover, many other vital aspects of a project are left without clarification. 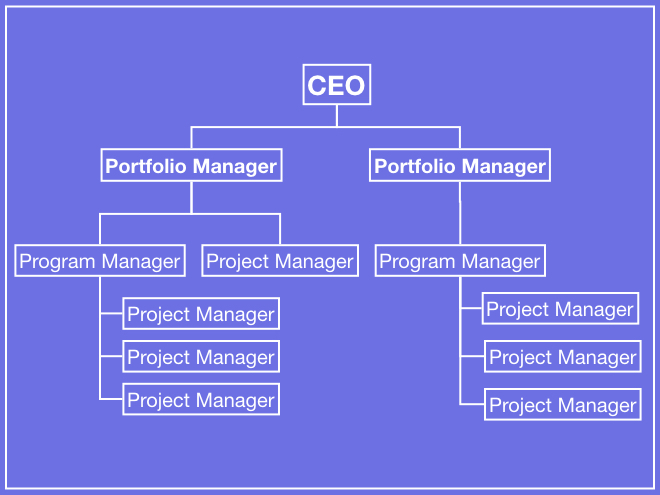 Also, there is no Project Manager role there. The only place where a PM has a chance to interact with a Scrum Team is a Sprint Review. Otherwise, he or she is considered as a distraction. The level of authority of a Scrum Master outside the Scrum Team is unclear. In most cases, he is considered as a team member. Therefore, has little influence on powerful stakeholders. If you read the Scrum Guides carefully, you will see that interactions beyond the prescribed roles are not specified. Moreover, there is no responsible person to do that. However, Scrum Teams doesn’t live in a vacuum detached from performing organization and business in general. These aspects create a lot of debates. Depending on a Scrum Coach, you may learn that there are two major visions. Scrum Team should provide value to the product owner. Nothing else really matters. Therefore, the team should be self-sufficient and able to resolve all the problems. While value is generated for the Product Owner, other metrics (financial, productivity, etc.) are of no real use. There should be an environment around the Scrum Team that supports all their needs. Therefore, they should not be distracted from their main priority – generate value for Product Owner. Both approaches require considerable organizational changes. Moreover, it is Scrum Masters who should drive them. There are several apparent problems here. First, Scrum Masters usually doesn’t have the authority and power to drive any changes. Second, there is no ready-made plan to transition to agile on an organizational level. Therefore, it isn’t really a solution. Nevertheless, Scrum found it’s application. Though, in some cases with modifications. In regards to the ratio of the Scrum Master vs. Project Manager interaction, there are three major groups. Names of the frameworks may vary so don’t focus too much on that. The framework implemented to the latter with an agile mindset as the cornerstone. There is no project manager here at all, only prescribed roles. Scrum Master works with the Team, Product Owner, and interacts with the performing organization. Here a PM selects processes, tools, and techniques he sees appropriate. He retains the key roles and responsibilities of a project manager. However, the deliverables are implemented incrementally and in iterations. For example, using the Scrum framework. Therefore, additionally, PM assumes the role of a Scrum Master. So, Scrum here is just a tool. Some may say that it is not really Scrum, therefore, may (will) not be efficient. Mainly because agile principles are replaced with plan-driven ones. I will only say it works just fine. Any tool properly applied in skillful hands will work. The rest is philosophical debates. Here a project manager works with a number of Scrum Teams that develop parts of one product. Each team has it’s own Scrum Master and (quite often but not always) a Product Owner. Therefore, the project manager oversees the whole project. In general, has the same responsibilities by on a larger scale. In this case, a PM should interact with Scrum Masters to get the required inputs. In general, these are standardized sprint-based and increments reports. 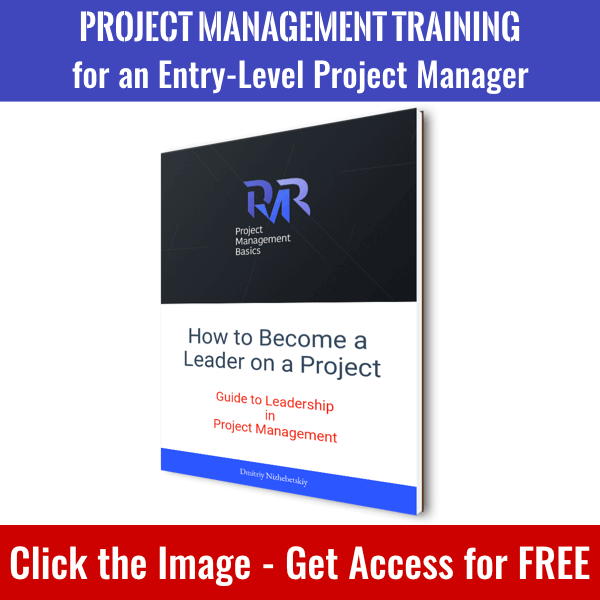 Though, you should not confuse the role of a Project Manager with a Program Manager here. The latter is responsible for a group of projects and their collaboration in general. The difference may be quite slim here. Do I need a Scrum Master Certificate? 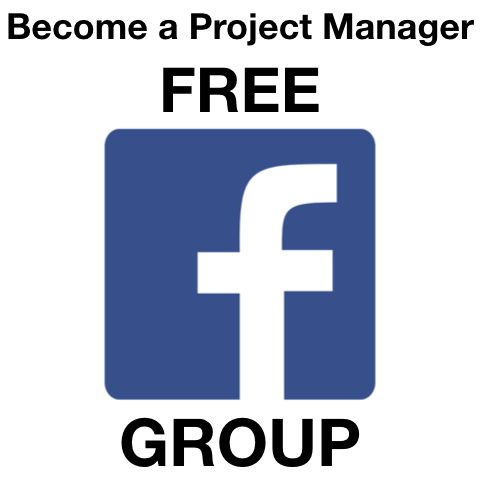 Do you have extra money or can you get sponsorship? The Scrum Master certifications together with preparation courses are costly. Does your industry require it? Besides the all-around buzz and hype Scrum is widely used only in several industries. For example, Software Development and Information and Communications Technology industries. For you, it may not be the best choice. Do you really need to know Scrum in details? Or I can put it in other words. Do you need to be able to integrate and apply pure scrum? If one of the answers is “No” than “Scrum and XP from the Trenches” will be just enough for you. Otherwise, I would suggest you get the certificate. If you are lucky with your Scrum Coach, you will learn a lot of small things that are not written in free books and resources. Simply because they will be explaining everything in details for several days. The Product Owner is responsible for maximizing the value of the product. However, even Scrum Guide agrees that it is done differently in different organizations. Product Owner acts as a PM who delegated all the work with the project team. A PO should be the only point of interaction between project stakeholders and the project team. It means she should work with others to decide the project goals. Product Owner should balance the needs and requirements of different stakeholder. She should also resolve all conflicting requirements before making changes in Product Backlog. Product Owner also should translate the business requirements from different sources into User Stories. It means that a PO also acts as a Business Analyst at some level. Moreover, all activities related to the initial “Collect Requirements” processes is on her. Scrum simplifies the requirements management to a backlog. However, it doesn’t describe how to select and justify features and themes. This process should follow the processes in the company. Scrum Team is responsible for delivering an increment of required quality. However, the overall responsibility for the project success and its definition is on the PO. It means that the PO should control the project’s goals, manage budget, release timeline, and risks. All in all a Product Owner is a Project Manager who is responsible for the project success and project environment. 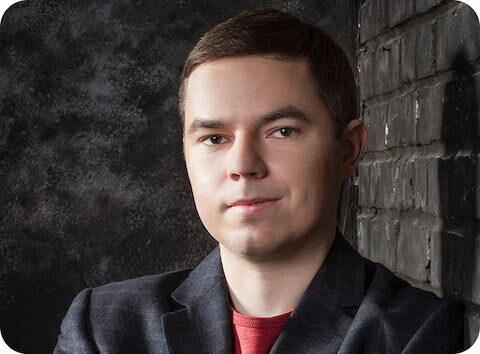 But at the same time, he delegated daily management of the project team to a Scrum Master. Scrum is a self-sufficient framework and should not be mix with other project management approaches. Scrum is a subset of project management that uses a selected set of tools and techniques to perform work and deliver value. It doesn’t exclude the possibility of integration with other processes. Therefore, it can be customized. The PM. At least the PM does something besides micro-managing and yelling at the people that actually work. The Scrum Master (Straw Boss) just yells the commands from the customer to the ones that actually work. A Scrum Master is a useless role that gets paid for doing nothing. As everything in Scrum this is an idea that brings us closer to full on slavery. Though I don’t see Scrum as such an evil methodology, there is some true in your statement. Agile methodologies are deceptive. They look simple, however, they require mature and motivated people to work on both sides. I mean project and client/customer team. While most organisations believe that with simple methodology they can do projects with less experienced teams. A great article! This would be very useful in an organization that takes multiple approiches to project management. For onboarding new team members, and helping them understand the organization structure of project management this would be excellent. Very well written, easy to read and understand. Thank you for your kind feedback. Yeah, in my early days I would love to have a clear picture on how my role fits into general project management approach.